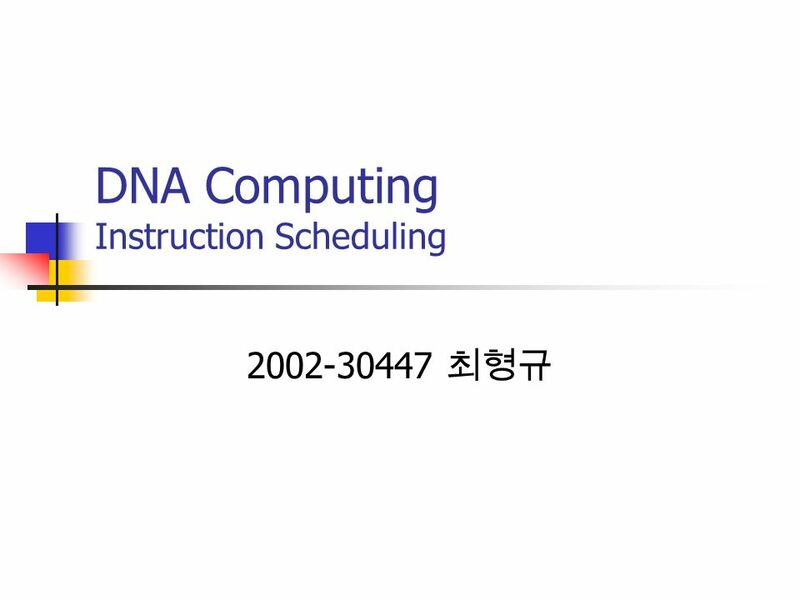 New approach to register allocation and instruction scheduling, using DNA Computing 2001-30593 이제형 2002-30447 최형규. We can count how many kind of valid paths are in set of solutions. 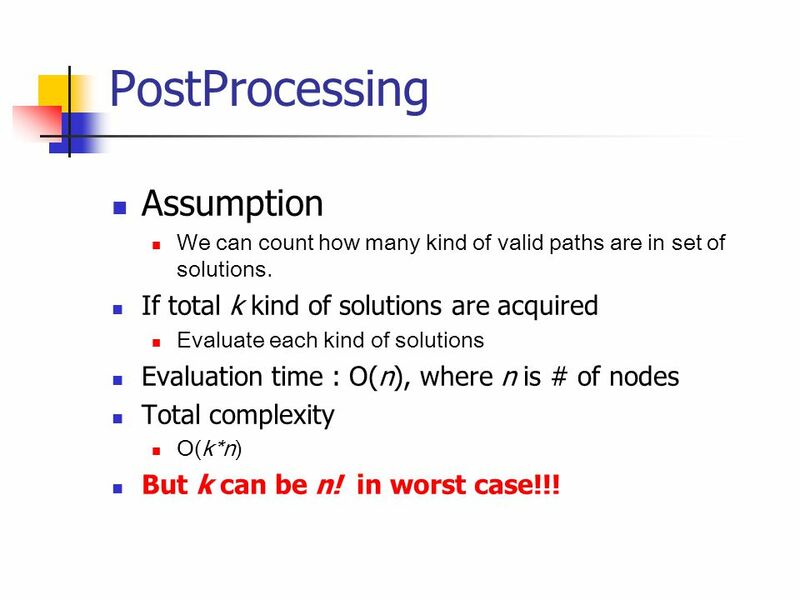 If total k kind of solutions are acquired Evaluate each kind of solutions Evaluation time : O(n), where n is # of nodes Total complexity O(k*n) But k can be n! in worst case!!! 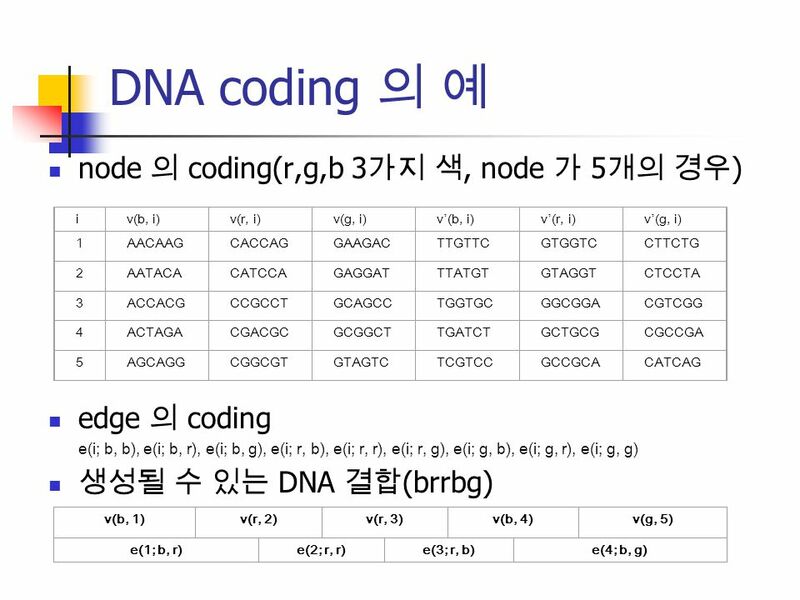 Download ppt "New approach to register allocation and instruction scheduling, using DNA Computing 2001-30593 이제형 2002-30447 최형규." 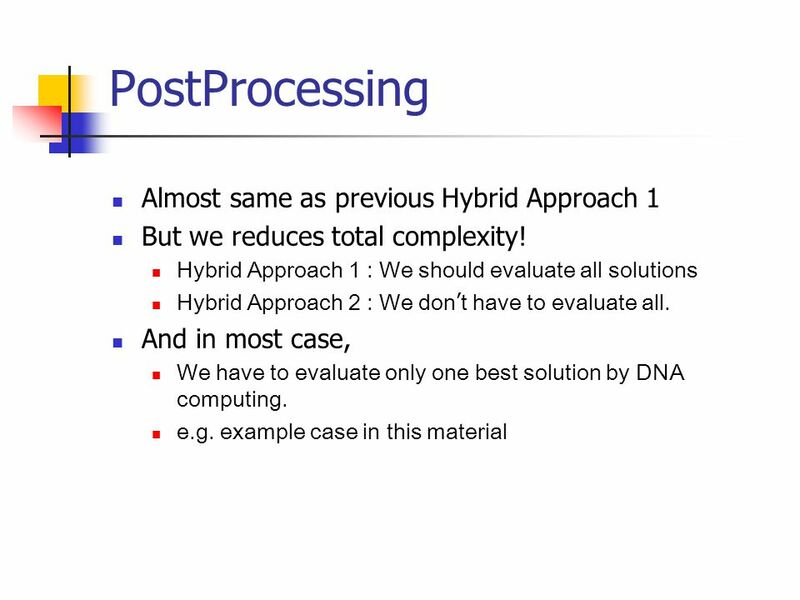 Optimizing Compilers for Modern Architectures Syllabus Allen and Kennedy, Preface Optimizing Compilers for Modern Architectures. 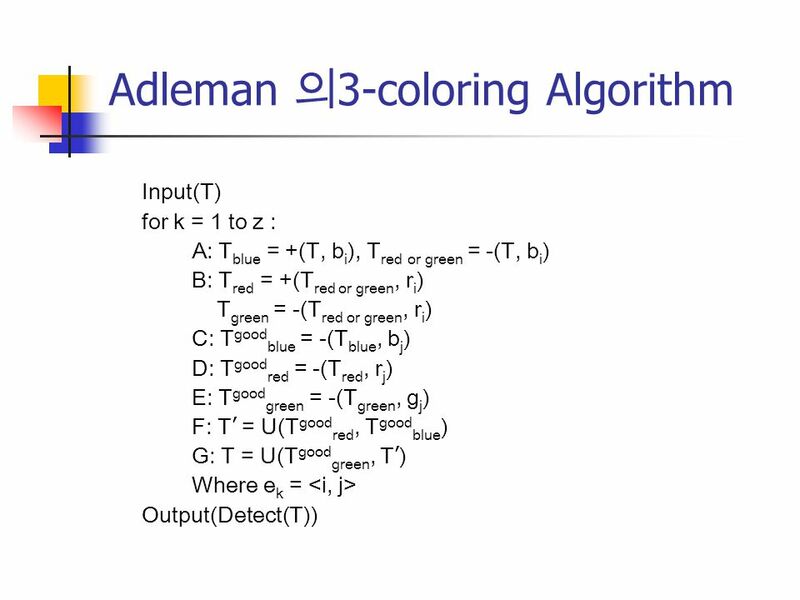 Compiler Construction Sohail Aslam Lecture Code Generation  The code generation problem is the task of mapping intermediate code to machine code. Comparison and Evaluation of Back Translation Algorithms for Static Single Assignment Form Masataka Sassa #, Masaki Kohama + and Yo Ito # # Dept. of Mathematical. 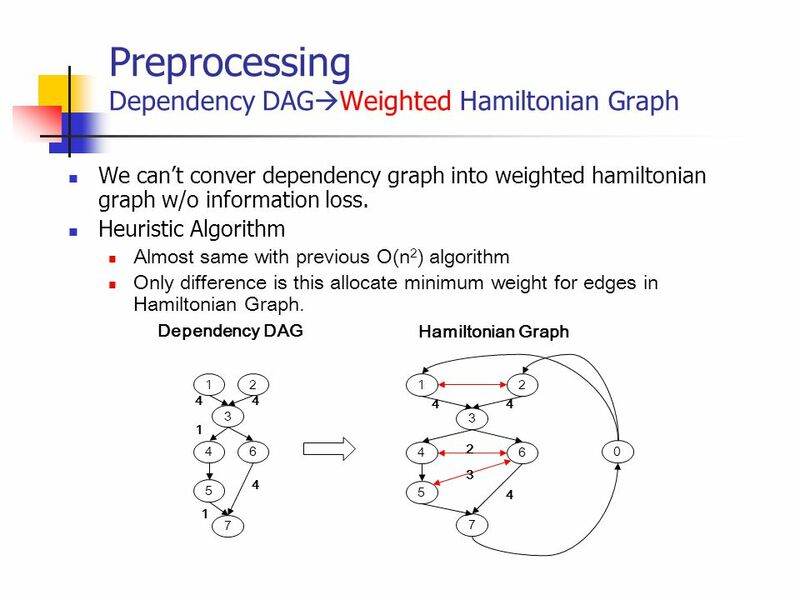 Register Usage Keep as many values in registers as possible Register assignment Register allocation Popular techniques – Local vs. global – Graph coloring. P3 / 2004 Register Allocation. 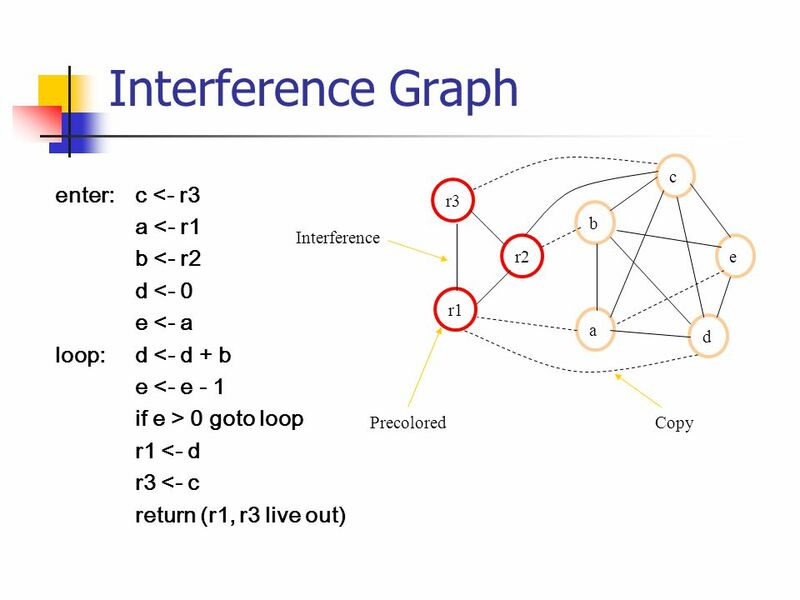 Kostis Sagonas 2 Spring 2004 Outline What is register allocation Webs Interference Graphs Graph coloring Spilling Live-Range. 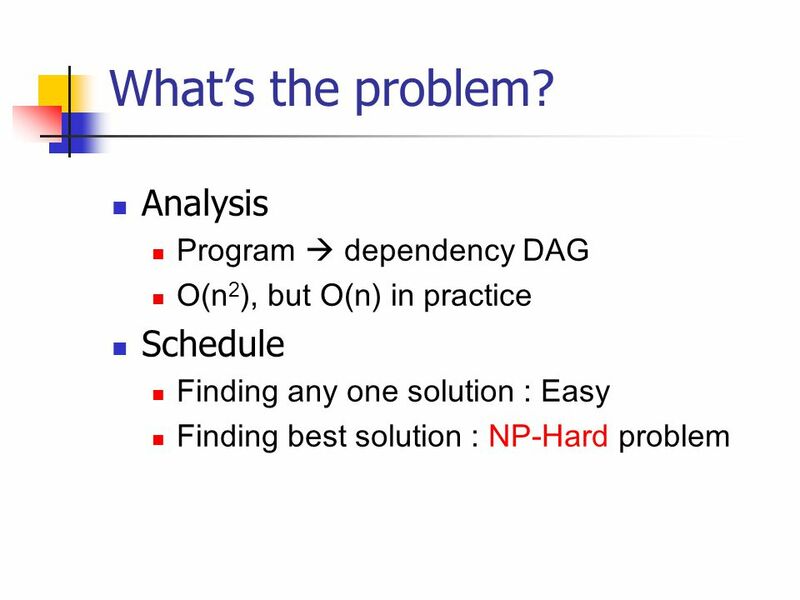 Register Allocation after Classical SSA Elimination is NP-complete Fernando M Q Pereira Jens Palsberg - UCLA - The University of California, Los Angeles. 1 Code generation Our book's target machine (appendix A): opcode source1, source2, destination add r1, r2, r3 addI r1, c, r2 loadI c, r2 load r1, r2 loadAI. 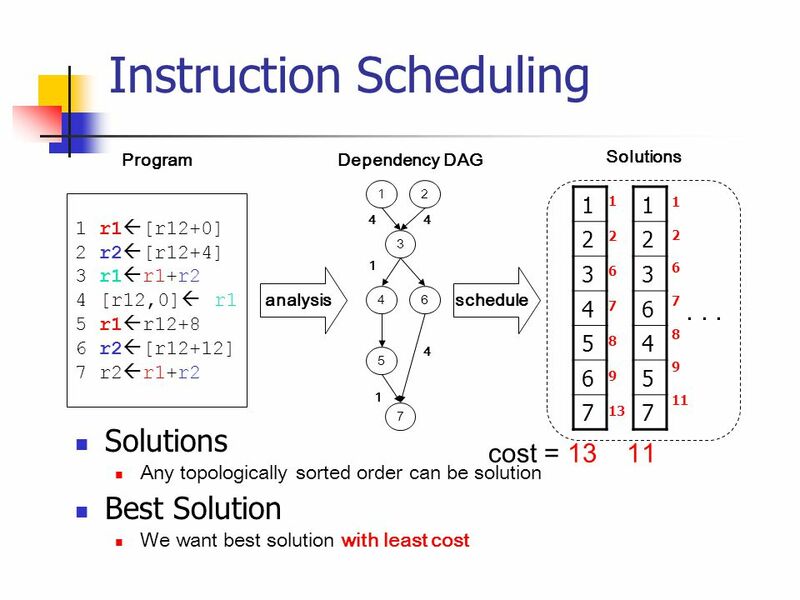 Coalescing Register Allocation CS153: Compilers Greg Morrisett. 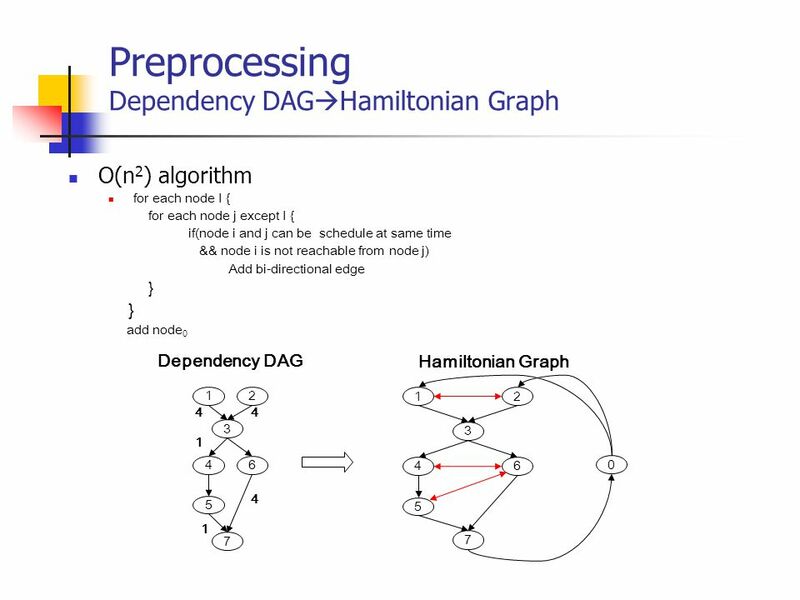 COMPILERS Register Allocation hussein suleman uct csc305w 2004. 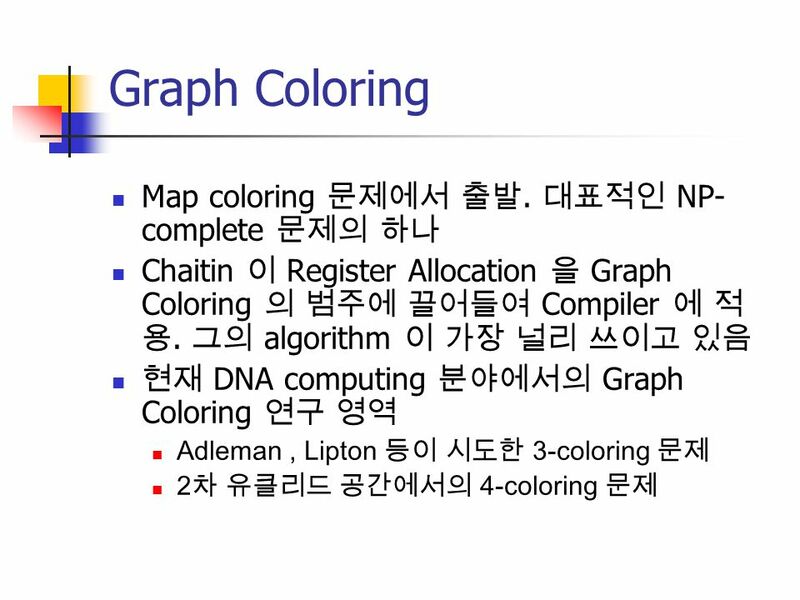 1 CS 201 Compiler Construction Machine Code Generation.